What’s the ROI of a college degree? Call it what it is: attending college is an investment. 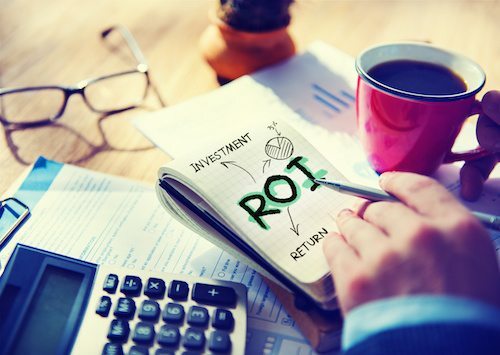 Hopefully it’s a good one, and we can help you with that, but in order to really understand the importance of Return On Investment (ROI) we’ll need to break down the term for how it applies in the education world. Understanding the ROI for a college degree is a lot trickier than for, say, investing in a business or a mutual plan. You can’t point to a spreadsheet showing how much money you’ve made off your initial investment, or how much your business has grown from its creation. There are a lot of factors to take into consideration. You invest a lot more than just money into a college education – you invest time, work, and stress. That makes college fundamentally different from many other investments. ROI could be as simple as what income people make vs. what they paid for college and what they owe in student debt, but that is still too simple. Income isn’t necessarily a measure of success, and student loan debt could just mean you took out more loans than you needed, not that the school was too expensive. While some short sighted people just want to know how much money they can make straight out of school, others want a certain level of long-term career satisfaction. Neither is wrong. Plus, as Chris Maples, president of the Oregon Institute of Technology explains, there are a lot of different investors in an education, too – not just you, but your family, the foundations that provide grants and scholarships (who don’t want to see their money wasted), the government (which needs the taxes you’ll pay from the work you do with your degree), and the institutions themselves, who put a lot of thought into who they accept and who expect their graduates to prove their worth. You may be fulfilled tending bar with your Ivy League education, but they’re not putting you in the alumni newsletter. Did you know 70% of graduating seniors will enter the workforce with an average student loan debt of $29,400? This is why students are prioritizing how their school ranks as far as ROI is concerned. If you can’t make money to pay the loan, sorry, but you’ve just invested poorly. cost – This is total expense of tuition and fees, room and board to complete 4-year degree. 30 year net ROI– The amount of money earned by an individual over the course of 30 years minus the total tuition cost. 30 year ROI with aid– this figure will be the same as 30 year net ROI, except net (not total) college cost are subtracted from his or her career earnings. percentage of students receiving financial aid– That’s loans, grants, scholarships, and other monetary rewards used to finance total education cost. average aid amount– This number is a calculation of all aid divided by the number of students receiving aid. Some of the rankings are quite shocking. An average, no-frills public college may have a higher ROI than a college like Harvard! For example, the top 10 in one of their most recent rankings, 2013 Colleges Worth Your Investment lists 5 private colleges and 5 public colleges. Oddly enough, a school like SUNY Maritime College, a public research university, is rubbing elbows with Stanford University, a private Ivy league! Ultimately, as Maples says, ROI for college “is in the eye of the beholder.” Only you can decide what you’re willing to invest, and what you will be satisfied with getting out of the experience. But having an idea about the bottom line will help you make a reasonable, financially sound choice.